Preheat the oven to 180°C/350°F/gas mark 4. Line a 12-hole bun tin with paper cases. 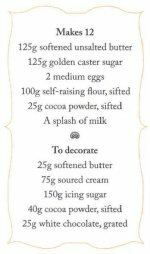 Cream the butter and sugar in a large bowl until light and fluffy. Add the eggs gradually, adding a little flour if the mixture looks as if it might curdle. 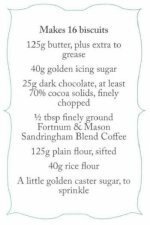 Fold in the remaining flour and cocoa with a splash of milk to make a dropping consistency. Divide the mixture among the cake cases. Bake in the oven for 20 minutes until golden and firm. Cool on a wire rack. 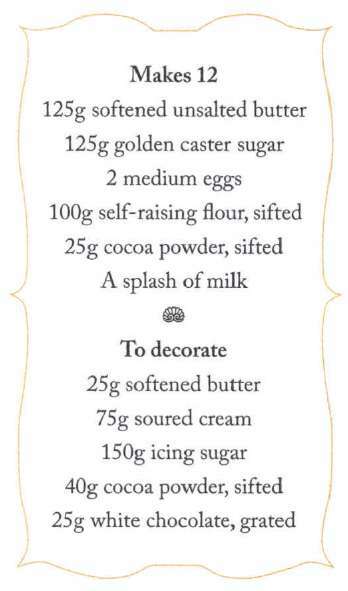 Beat together the butter and soured cream, then add the icing sugar and cocoa gradually to make a thick icing.